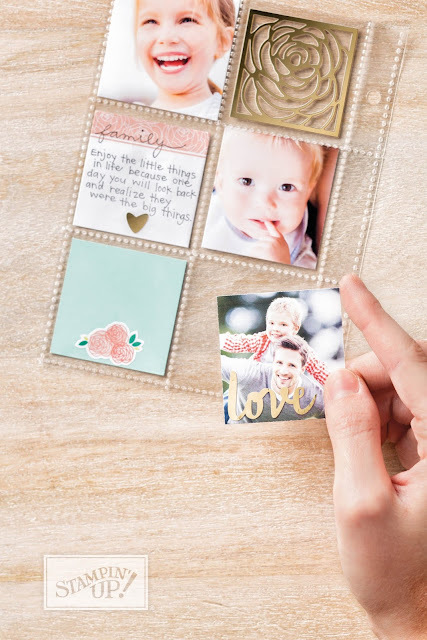 I am so excited to share one of the newer items that Stampin' Up! introduced in the new catalog this year. 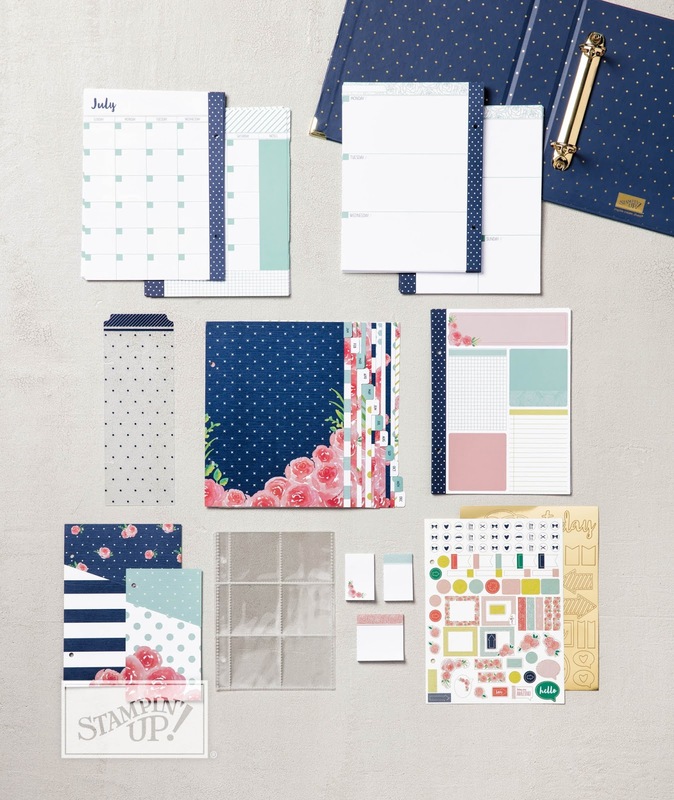 The Love Today All-Inclusive Planner Kit is a winner. It comes with everything you need to plan your day, your work or your life. I personally keep one at my desk at work, and another is here at home. It comes with all the pages for an entire year, and no dates are printed, so you can start whatever date you want. 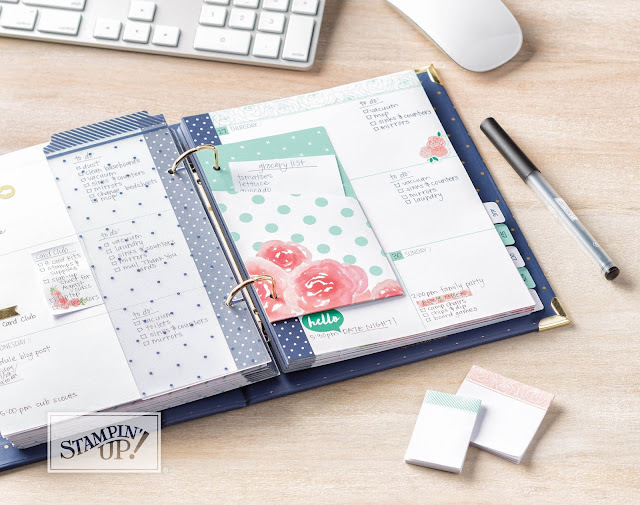 When I saw this in our new catalog, I actually squealed out loud with happiness as I was going to buy a planner to get more organized and now Stampin' Up! is offering their very own. It comes beautiful packaged together in one box as a kit, and everything is in pristine shape ready to be assembled. The kit includes everything you need and a refill kit is also available in case you want to restock your supplies without needing to buy the entire kit again. You will receive the lovely binder with reinforced metal corners, 12 divider pages, calendar pages, 4 photo protector pages, 5" x 7" page lifter, 6 sticker pages, pocket pages and sticky notes. The photo pocket pages are very unique for this type of planner. 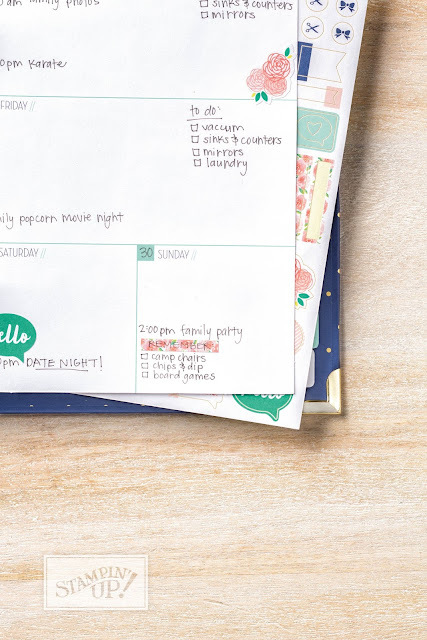 They add a personalization to the planner that is so fun. You can imagine the possibilities! The stickers in full color and gold foil, add that special detail to your planned daily activities. 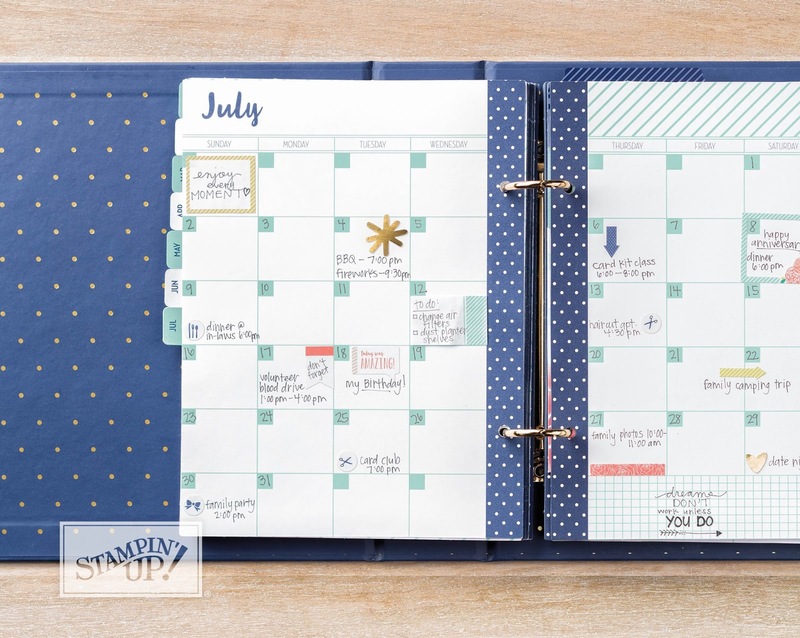 You can use your imagination and creativity to dress up your planner however you would like! This is truly a special item and I have had many friends see mine at work and want to order one for themselves! Let me set you up with one too. Follow my links below to get your own Love Today All Inclusive Planner Kit right away!